What does it mean to be a Seer? How does being a Seer relate to the gift of Prophecy or Word of Knowledge? How do we use the Seer gift to love and serve others and advance God’s Kingdom of Love? These are just some of the issues we cover in this “eye-opening” talk… Oh yea, and we talk about angels and demons and spiritual warfare and have many fun and epic stories. Isn’t it interesting to think about how we as humans are all spirits having a temporary physical experience? Some of us can “see” better with our spirit eyes and so are meant to be the eyes of the body of Christ. Check this following Scripture out! “The human body has many parts, but the many parts make up one whole body. So it is with the body of Christ. Some of us are Jews, some are Gentiles,e some are slaves, and some are free. But we have all been baptized into one body by one Spirit, and we all share the same Spirit. Yes, the body has many different parts, not just one part. If the foot says, “I am not a part of the body because I am not a hand,” that does not make it any less a part of the body. And if the ear says, “I am not part of the body because I am not an eye,” would that make it any less a part of the body? If the whole body were an eye, how would you hear? Or if your whole body were an ear, how would you smell anything? This just made so much sense to me! I’m sure most of us have a good relationship with our own eyes, right? I mean we don’t go around stabbing our eyes or ignoring or belittling them. We use them and depend on them. We cherish and protect them. Since the Seer is an eye in Christ’s body, it would be foolish for the rest of the body to persecute or belittle (or medicate and institutionalize) their own eye, right? It is also foolish to be jealous of them. Be who God created you to be! God has put each part just where he wants it! Let’s honor our eyes and learn how to use all our gifts the way God intended. Share the Love? Become a Patron! (verb) to save, keep safe and sound, to rescue from danger or destruction… sounds like something Jesus would be into, right? 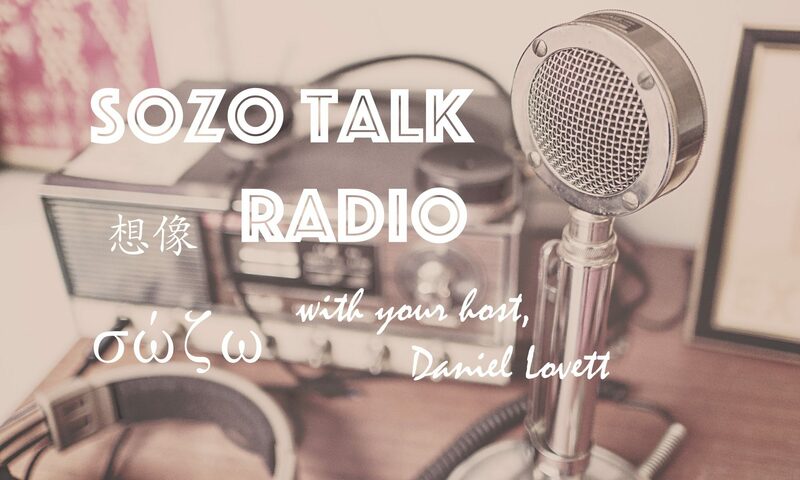 Hosted by Daniel Lovett this broadcast focuses on the Salvation available to all found only in the Lord Jesus Christ. Sozo is a Greek word that means “to save, or make whole” which is something only Jesus can do. “Salvation is found in no one else for there is no other name under heaven given to mankind by which we must be saved.” (Acts 4:12).